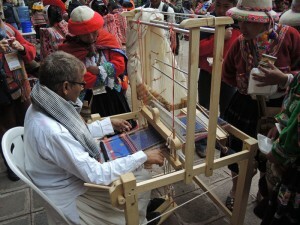 Peruvian weavers watching Dayabhai weave his traditional motifs. Note the checked shawl around his neck. 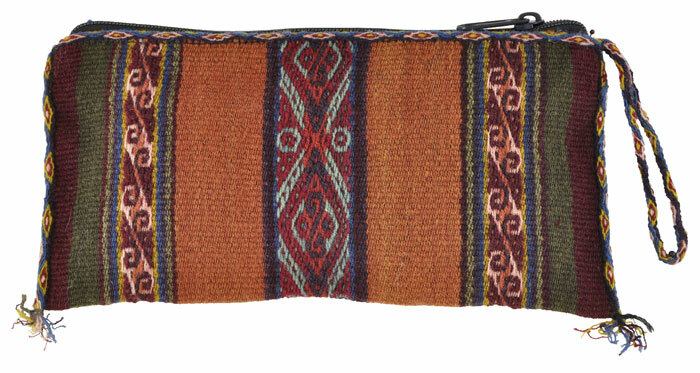 Seeing cloth hand woven on a foot-pedal floor loom versus on a traditional backstrap loom was a novelty. Crowds formed around the weaver, an Indian man, layered in traditional garb of light-colored cotton with a checked shawl wrapped around his neck for warmth at 12,000 ft in Cusco, Peru. I could hear excited voices, fingers pointing, questions being asked in Quechua or Spanish, then translated into English. But in the language of weaving, words didn’t matter. 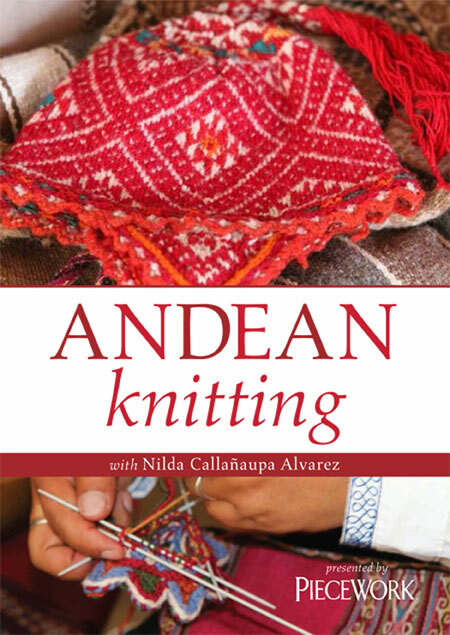 We just watched his hands move as they made intricate patterns with cotton and silk thread– these fibers also a novelty to the highland Peruvian weavers who were used to working with alpaca or wool. Dayalal Kudecha Dayabhai traveled a very long way from his home in Bhujodi, Bhuj-Kachchh (aka Kutch) in the district of Gujurat in west India, to attend and speak at Tinkuy, the international weavers’ gathering, this past November. 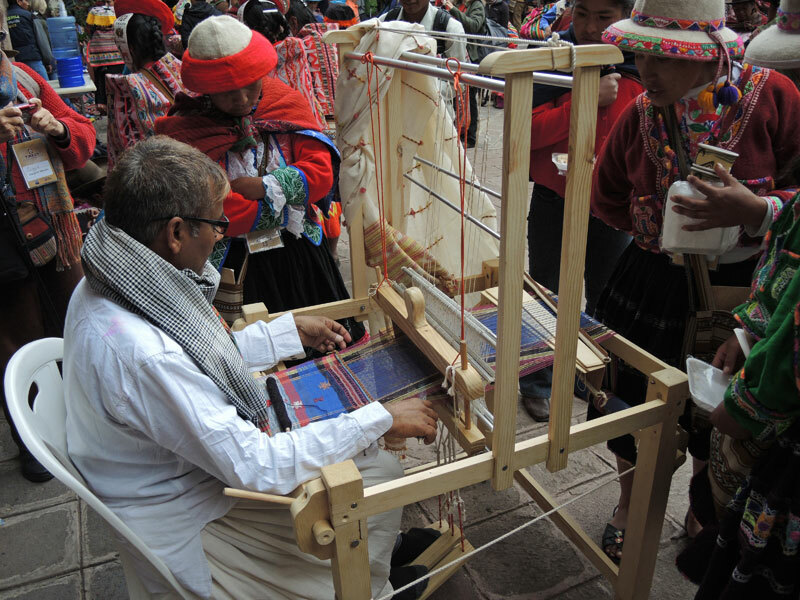 The Center for Traditional Textiles of Cusco invited him and his colleague Judy Frater, both of them representing the Kala Raksha Vidhyalaya (KRV), India’s first design school for traditional artisans. This was his first time leaving India, his first time speaking English–a marvel to me because he spoke it as though it was his native tongue. Adding weft-weaving in an arrow-like pattern. Sallac village weavers watch Dayabhai weave on a foot-pedal floor loom. As a young child, Dayabhai’s family migrated to Bhujodi, a weaving village near the district capital Bhuj. Eventually, after seeing the traditional arts of this village, he decided to learn weaving. 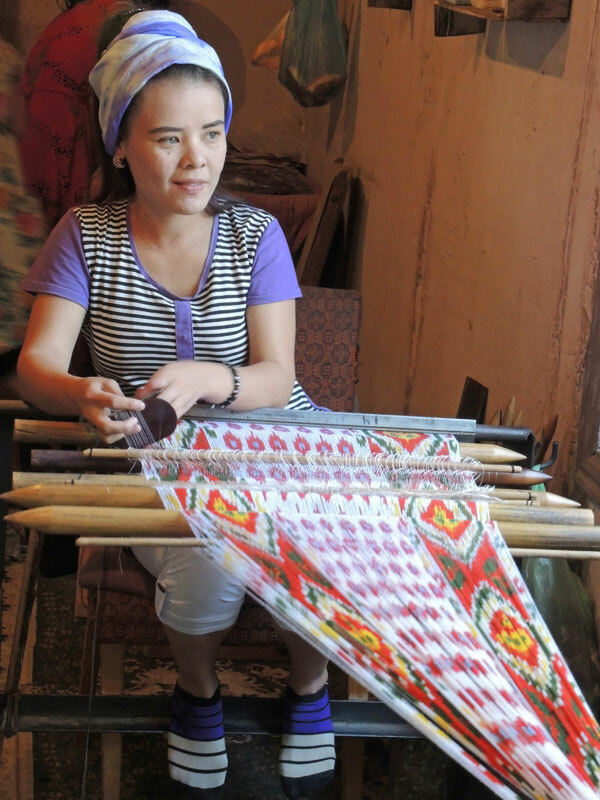 His brother-in-law mentored him early on and then he studied under a master weaver. 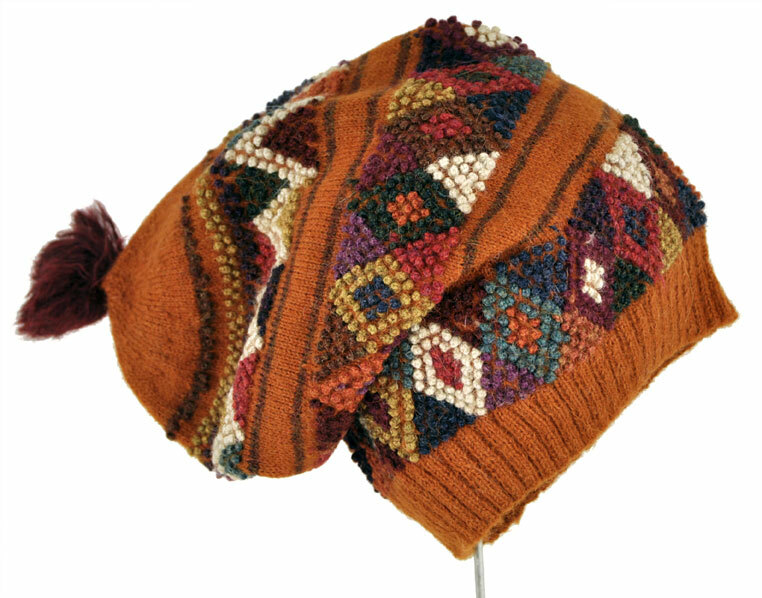 For over twenty-five years, he has earned his livelihood by weaving traditional and contemporary designs. 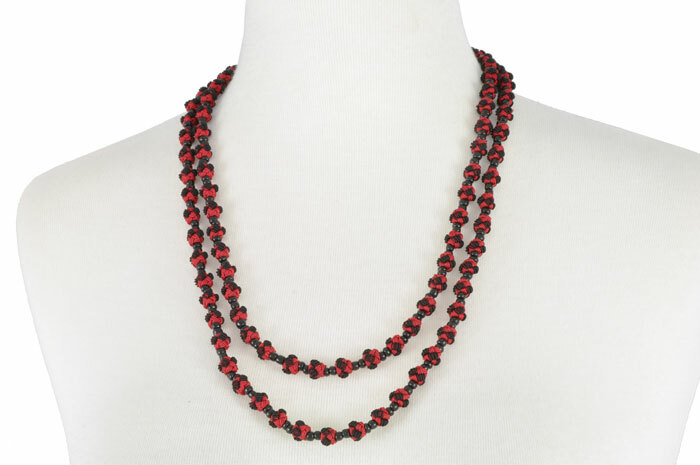 In 2008, Dayabhai attended the KRV’s year-long design course, and learned to innovate within his tradition. A few years later, he joined the school as a core faculty member. Besides teaching, with the help and weaving support of his family, he designs his own line of products under the label, For Line. Contemporary black-and-white striping pattern along with traditional style of ornamental patterning details. The specialty of the Kutch weaving tradition is the hand insertion of ornamental supplementary wefts, almost like embroidery. 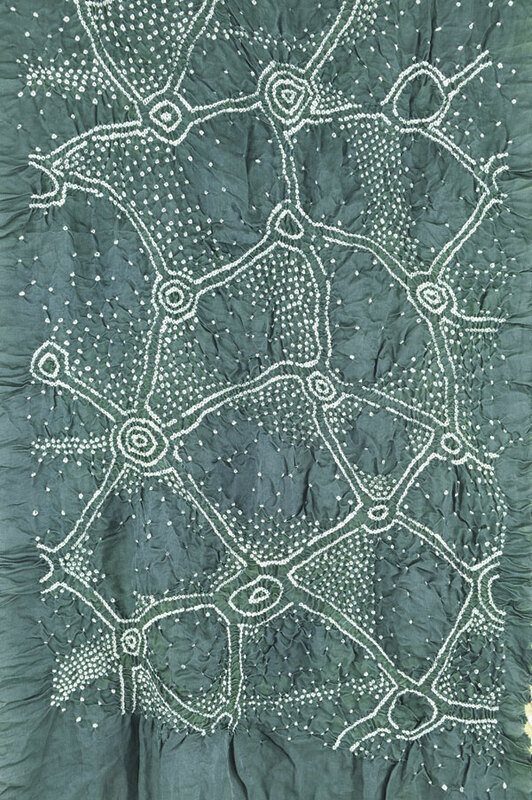 In looking at this detailed image, you can see these patterns inlaid into the handwoven plain weave cloth. 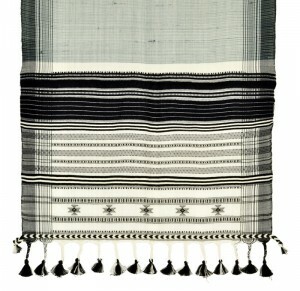 Traditionally, blankets (dhablo) incorporated this style of weaving. 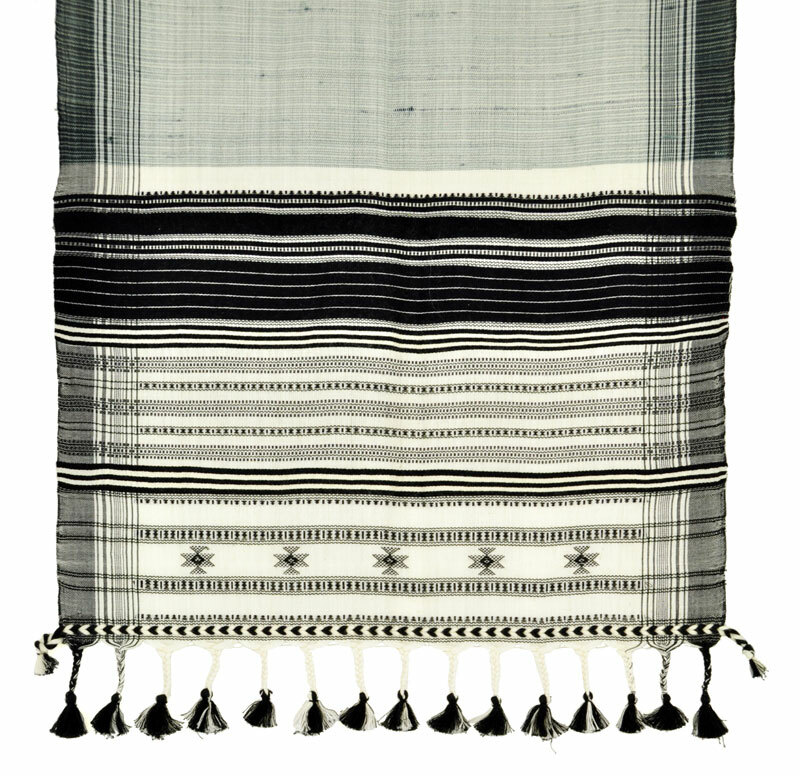 They were woven with sheep’s wool of natural black and white and made for the nomadic Rabaris. Dayabhai uses these same designs but interprets them into contemporary cloth for saris, scarves and shawls. Rabari elder wearing the traditional black-and-white blanket (dhablo). Photo courtesy Judy Frater. Dayabhai’s contemporary interpretation of traditional design woven into a sari cloth and worn during a fashion show. Photo courtesy Judy Frater. Finding a few minutes to seclude ourselves between sessions during Tinkuy, I was able to speak with Dayabhai, to hear what he learned by being with the Peruvian weavers. He told me he appreciated that they wore their traditional dress and still used traditional weaving techniques. Many sat at his loom and and attempted to make the finger-woven, arrow-looking edging and to weave little inlay patterns. 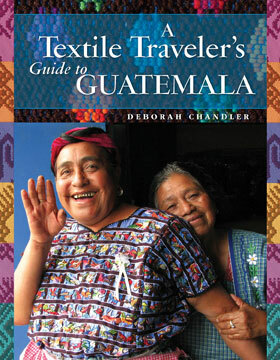 He was inspired by their use of natural dyes, the richness of their cloth, and vowed to do more natural dyeing himself. Lastly, he emphasized how taken he was by the weaver’s attitude and work ethic, that they were always knitting, spinning, or weaving. 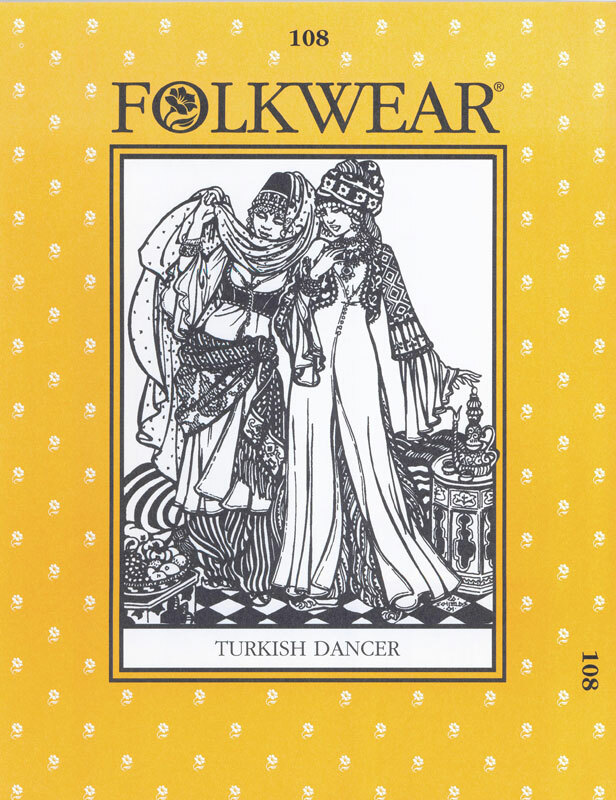 Thanks to Dayalal Kudecha Dayabhai and Judy Frater for providing background history, images, and most of all your tireless work and passion toward sustaining traditional textiles. Can you help too? If you enjoyed this blog, do you have friends who would enjoy it? If so, please pass it on. It takes all of us to preserve and sustain these rich traditions.